As part of our “People Who Help Us” week we had a visit from Mark, the police man. 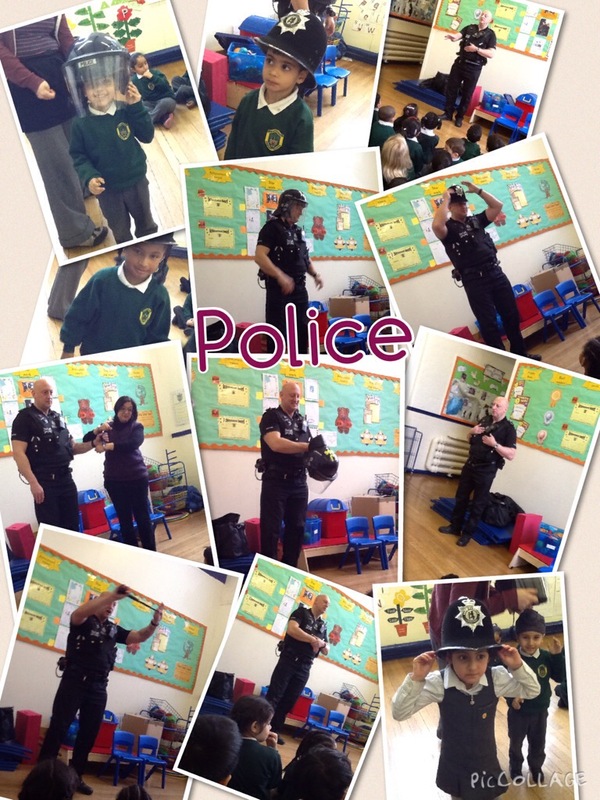 He came and spoke to us all about how the police help us. 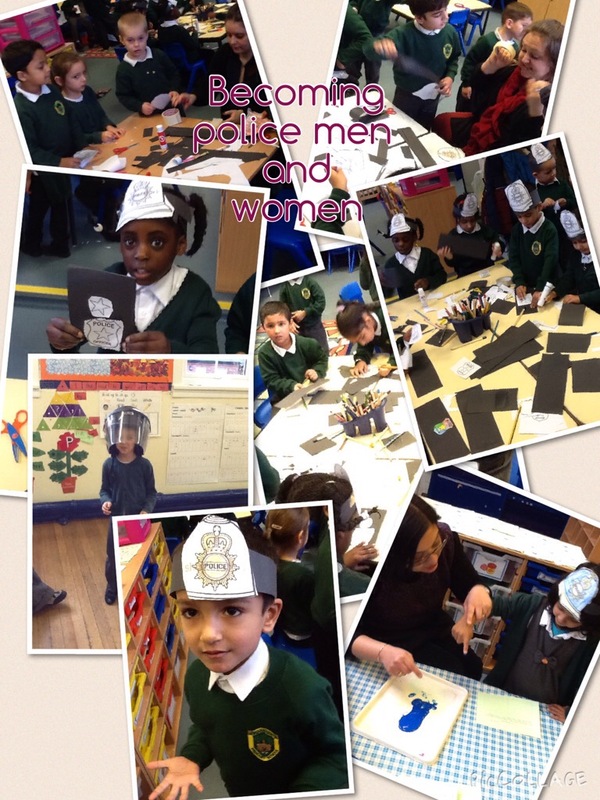 He also showed us the different parts of his uniform, and allowed the children to try on his different hats. He also arrested Mrs Matharu, but don’t worry we assured him she was lovely and did not need to go to prison! The children then worked really hard, making their own police hats and badges, and also looking at/taking their own fingerprints. This week we are learning all about ‘People Who Help Us’. 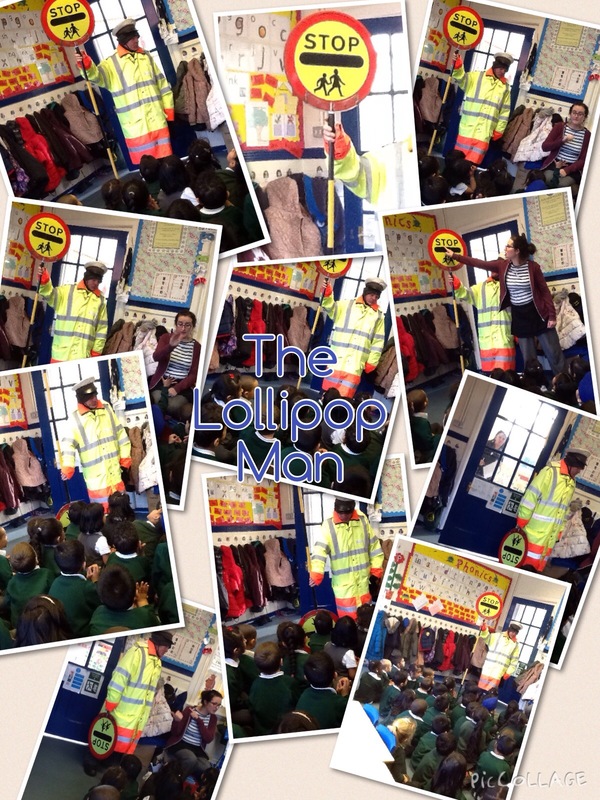 Today we had a visit from John, the Lollipop Man. He spoke to us about how he helps us to cross the road safely. We also looked at his uniform and discussed the fact it has reflectors on it, so that the cars can still see him when it is dark outside. Then we looked at his lollipop. We used our phonics to read what it said; “STOP”. We then made our own lollipops and role played crossing the road safely. John told us that you must always walk across the road, and never run. Thank you John! 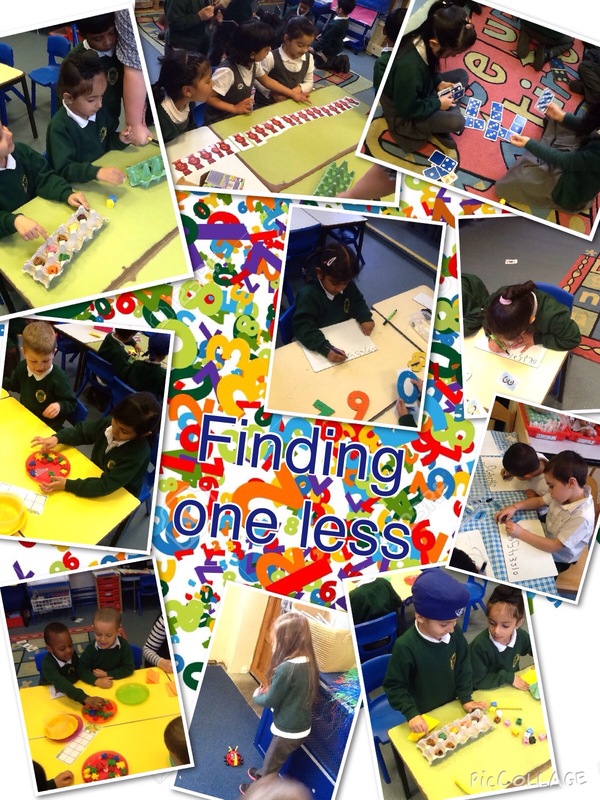 This week in maths we are finding one less. We start off with objects then move on to pictorial prompts to support our learning.